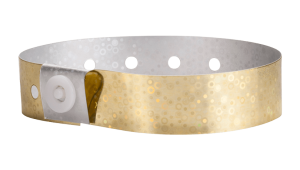 Durable wristbands with a shiny finish. Ship from our factory within 24 hours. 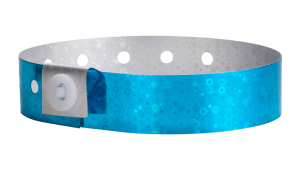 Popular for their durability, comfort, and security, myZone Canada plain holographic plastic wristbands are made from durable, water and stretch resistant plastic. These wristbands are great for 5 day plus extended wear and are a secure, cost-effective admissions solution. 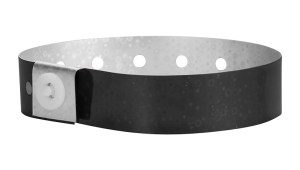 They are secured with a locking plastic snap and come equipped with sequential numbering and a waterproof fabrication. 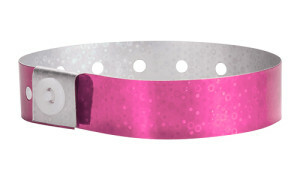 These plain holographic plastic wristbands can be shipped to anywhere in Canada! and boast a super fast turnaround and can be shipped from our facility in just 1 business day! Many of our products are printed right from our Vancouver BC office, meaning you don’t have to worry about surprise duties/taxes! All prices are listed in Canadian Dollars. Want to customize your holographic plastics wristbands? Check out our range of custom holographic plastic wristbands!